“I love this job and I really enjoy getting to know the people of our community. It is a real privilege to make friends with so many interesting local people. My passion is to reach out to new, and not so new, people who visit the church with a warm welcome and encourage them to come back again. There is so much to offer all ages. Never a dull moment at LMC! 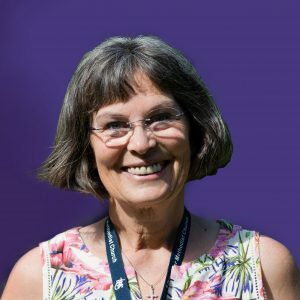 ” Annie has been a member of Littleover Methodist Church since 1987, and has worked here since 2006, initially as Church Administrator.